TV shows such as Airwolf give folks (cast & crew) a respected immortality with their work. We've unfortunately lost a long list of them already and the following is the current concise list that have passed on. It'll probably shock many of you how many in fact (especially the big number of episode's main [naughty-policed] stars), and there will be names there that you didn't know about. If there's anybody I've missed please post below and I'll update it. Mark I am deeply saddened and shocked by the list. It's hard to imagine all of these great actors, actresses and production crew not being part of any new screen productions. Their energy, spirit and memory will live on for all of us that appreciate the world of Airwolf. A list like that, in black & white, really hits home how fragile life is. RIP all. Really shocked to see Roland Harrah III on there. I had no idea. Such a waste. What really shocks me, aside from the number of people associated with the show who are now deceased, is the age of death for so many of them. Apparently, Hollywood chews people up judging by the number of people who went well before age 55. I guess TV/movie production is a tough business and takes it's toll with very long shooting days, and difficult deadlines that cause stress for all involved. Still, I am surprised how many went at relatively young ages. Pedro Amendariz, Jr "Capt Mendez" on BREAK-IN AT SANTA PAULA died on Boxing Day 26.12.11. Yet Ernest Borgnine is going to be 95 this month and Jan Michael Vincent despite his long list of problems is still kicking at 67! How very true. Mr. Borgnine's longevity is exceptional for an industry that seems to kill off many talented individuals before their time. Some are obvious (personal/psychological problems that lead to premature death) while others seem just to be the result of too much drinking, smoking and long hours. At the time Airwolf was in production, smoking in the workplace (in the USA) was still rather commonplace, and likely even more so in the entertainment industry versus the common office or factory job. I'm sure poor diet factored in for production staff as they worked long hours, often on location, and had to eat catered fare that was probably not so healthful. A further review of the above list seems to bear out a lot of production/behind the scenes people who went relatively young, even more than the actors. I think there has to be some weight given to working under constant stress. As dedicated fans know, Airwolf was a rather stressful show to make for weekly airing given the unique nature of it being almost all location shooting, and all the stunt/aerial work. I can only imagine the long nights doing final cuts and edits to deliver film to CBS for broadcast each week of the season. Doing this for months at at time could really run a person down badly. At the same time, I am looking at this from a generationally biased viewpoint. I am 37 now, and was really just a child when the show was in production and first run. So, most of the crew had a 20+ year jump in age on me, making them of my parent's generation or older. Thinking about it that way places some clarity on the number of deaths that I considered somewhat alarming at first. And yet, I stand by the point of my original post that too many went far too young. Ernest Borgnine as his character on screen on off screen seem very similar to me very relaxed and at ease with the world I guess this could be a secret to a long life just be yourself and go with the flow! I did`t see The Lady on that list one of the biggest losses of the Airwolf family should have been put in storage or a museum rather than being sold only to crash! I agree. Ernie's secret must be his genuine hearty laugh and zest for life. Adding PHILIP BRUNS today. He played Mitch, the director of Blaze' scene in the pilot episode. 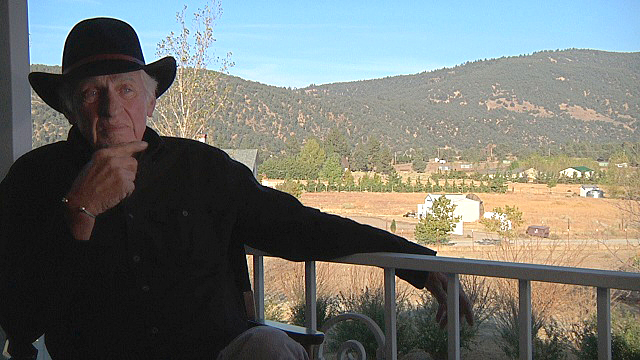 Adding RICHARD LYNCH today (played John Bradford Horn in 3rd Season opener, 'The Horn of Plenty'). His manager, Lynda Bensky, said Borgnine died of kidney failure Sunday afternoon. His wife, Tova, and children were at his side at Cedars-Sinai Medical Center in Los Angeles, she said. Rest in peace, Ernie. We're all going to miss you terribly. God bless you Ernest Borgnine. Thank you for being Dominic Santini. Please Rest In Peace. I am so saddened by the passing of Ernest Borgnine. I am even more saddened by the Associated Press. Of all the films he did, they didn't mention one word of Ernest's work in Airwolf. He really worked hard in that series. But that's okay...we Airwolf affectionadoes know, and we appreciate his dedication, without which, Airwolf would have only been half as good as it was. RIP. 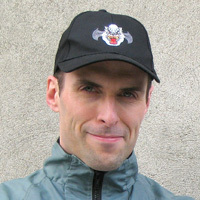 Stuntman from numerous episodes, TONY EPPER added. That's all the Epper brothers dead now. And another gut-wrenching loss made public today is that my all-time favourite [naughty-policed] star on the show, LANCE LeGAULT has died. He was in 'TO SNARE A WOLF', 'SWEET BRITCHES' and 'WILDFIRE', but is best known for playing Colonel Decker on The A-Team. He did a wonderful interview for the upcoming, official "Airwolf Documentary" last year (see pic below), and all our "Next on..." voice-over Intros (similar to his "File A56-7W briefings" during the opening titles of the show's 1st season) on the promo videos on my YouTube channel. He was awesome in real life, personally having sat in his kitchen eating apple pie and listening to his stories and that voice; just a total gent, and I'm really sad to hear of his death there on Monday 10th Sept. I share in your sentiment - R I P! What kind complications did he face before he died? RIP Lance we will miss you. AIRWOLF II and CROSSOVER Director, Don Medford added. T.S. Cook added. Died on 5th January, 2013 of cancer at 65. Wrote the awesomeness that was 'MIND OF THE MACHNE' and 'MOFFETT'S GHOST' (and 'ERUPTION') plus was supervising producer during the end of the 1st and most of the 2nd Season of the show. 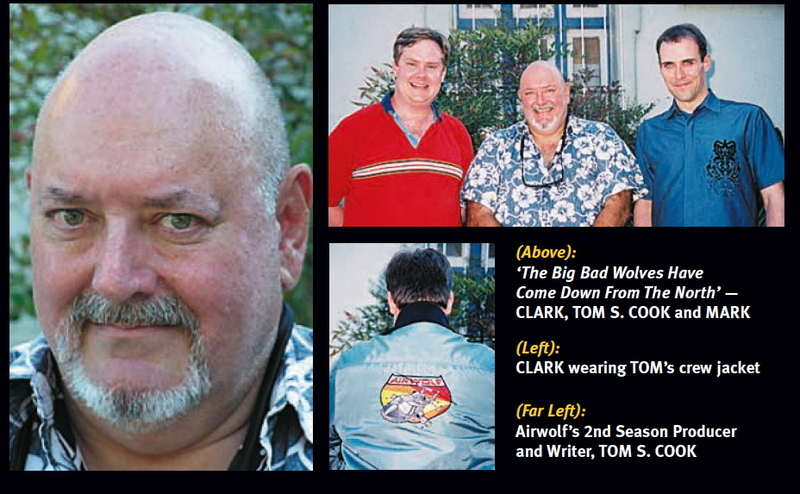 I met Tom Cook in 2004 when Clark Van Hoten and I interviewed him at length about his work on Airwolf. A brilliant guy even with his mandate from CBS to domestic the show from being a international spy show against the "Red Menace" and had to make it more of a domestic problem solver. He said that when he left at the end of the 2nd Season and Bernie Kowalski took over the reins with Robert Janes that they snapped back to doing international big villain-type stuff and felt that the domestication "didn't really work." I thoroughly enjoyed meeting him (we filmed it back in 2004 with a crap video camera set on the table in front of us as a keepsake - Tom was nervous about us filming him but relaxed after we explained its use as more of a dictation device), so I was watching it again last year with the upcoming, official 'Airwolf Documentary' Producer & Director, Martin Grant when he was over here in Northern Ireland on business). My condolences to his lovely wife, children's author Marie Monique de Varennes; and their family.